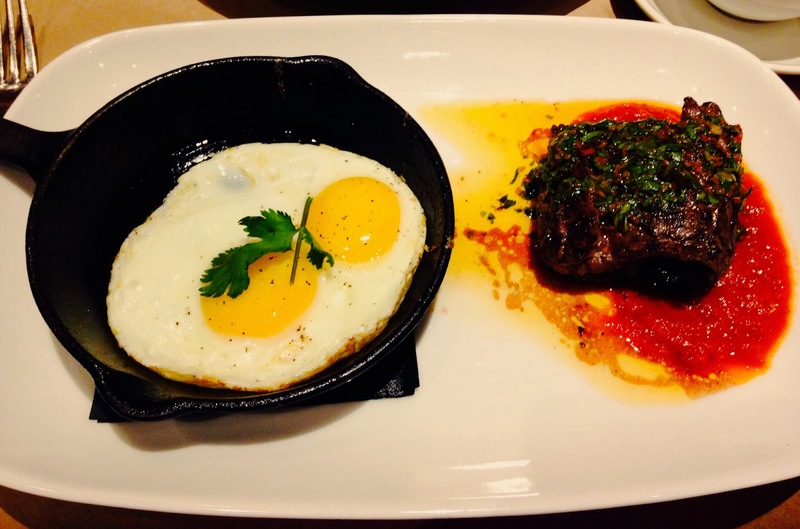 Latin-fusion restaurant Carnivale recently launched Sunday brunch service! 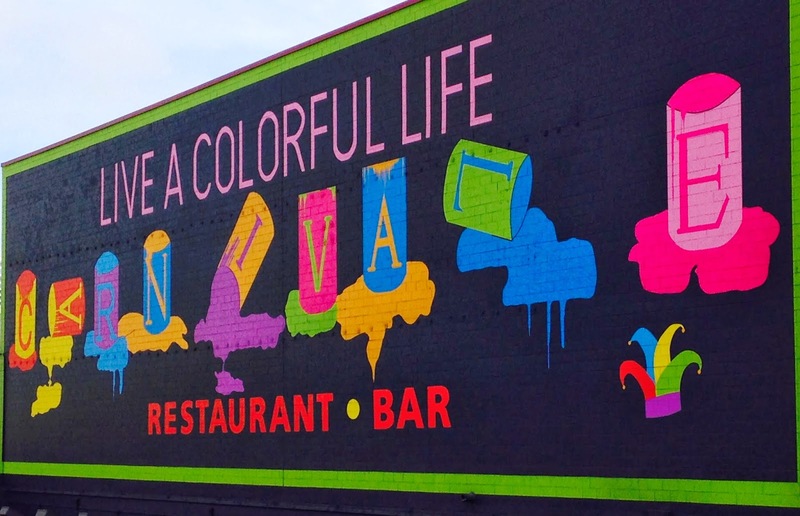 I had actually never been to Carnivale, despite passing the restaurant's uber colorful billboard a million times. 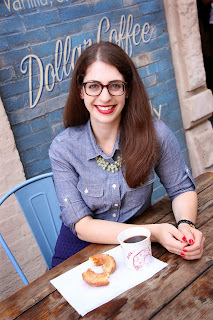 I jumped at the chance to check out the new brunch menu and the amazing space in the West Loop. With my mom as my +1, we sat at an elevated table affording us an aerial view of the massive dining room. 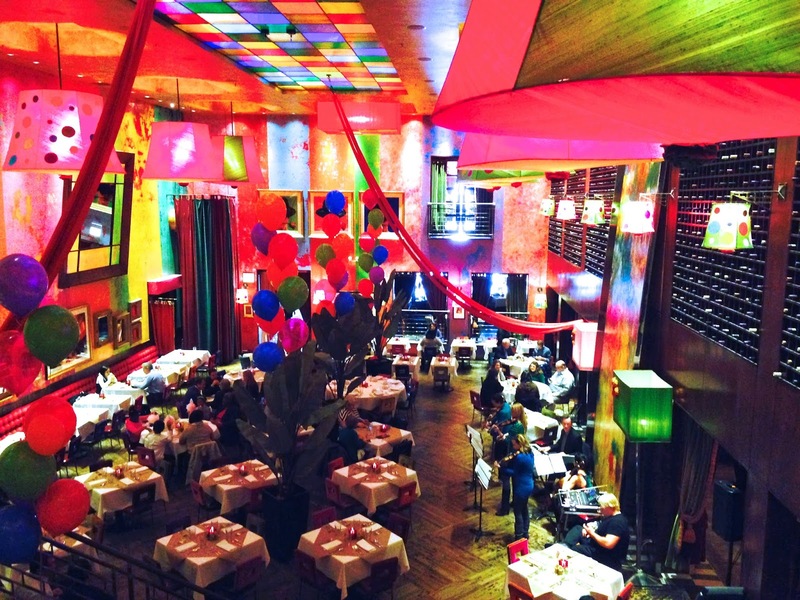 Carnivale is the place to go if you want to forget you're in Chicago. In March. When it's still snowing. The bright ambiance and cheerful colors are warm and inviting. 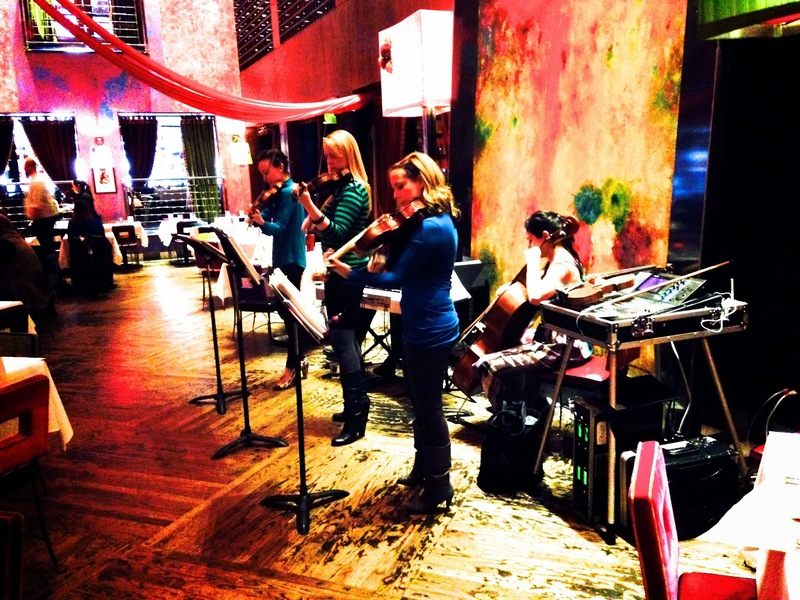 Carnivale even has a string quartet that plays a variety of songs during brunch. It was definitely a nice touch and added to the atmosphere. We started our brunch with a Pisco Punch. 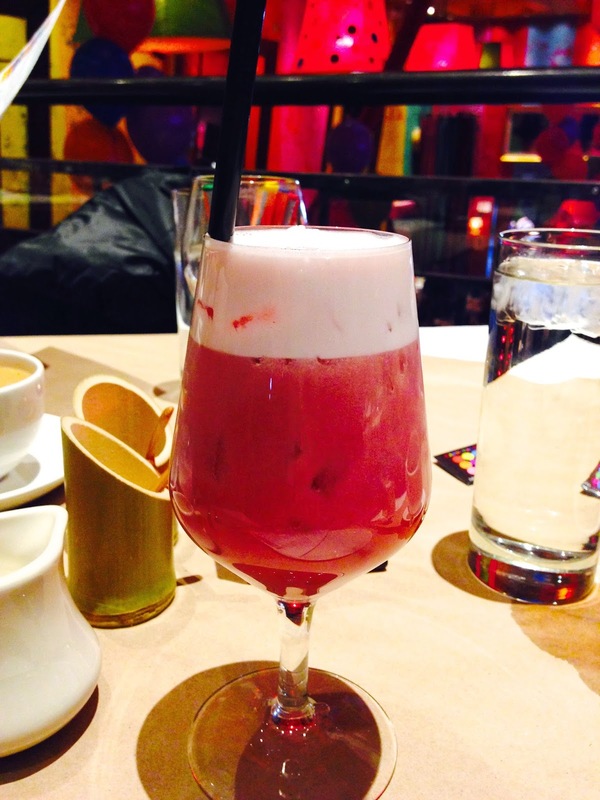 This brunch cocktail was a different take on a pisco sour and featured pisco, pomegranate, pineapple, and lime juice. This was my favorite cocktail I tried and was not too sweet. My mom also tried the Brunch Daiquiri which was quite strong. This cocktail included rum, cherry liquor, and lime juice. 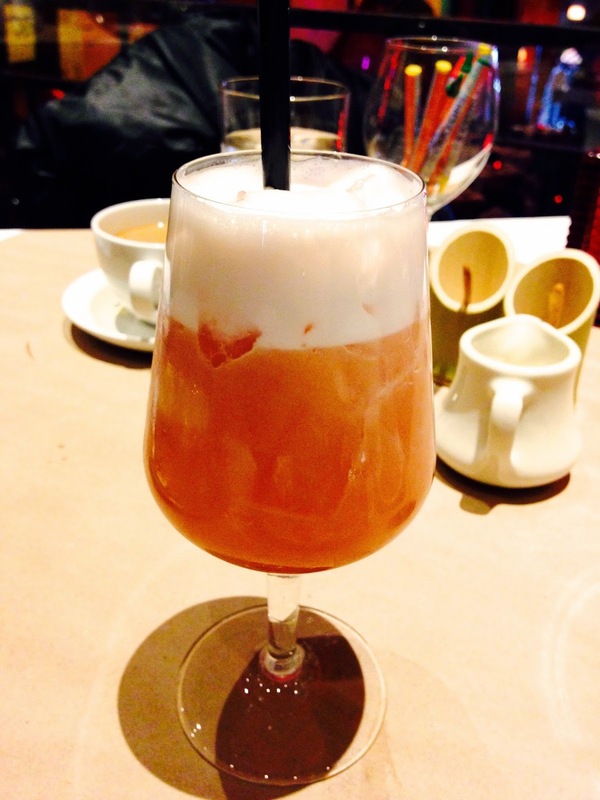 While it was boozy, it lacked the full fruit flavor of the Pisco Punch. My mom and I ordered two appetizers, including the Ecuadorian Shrimp Ceviche and Calamari. 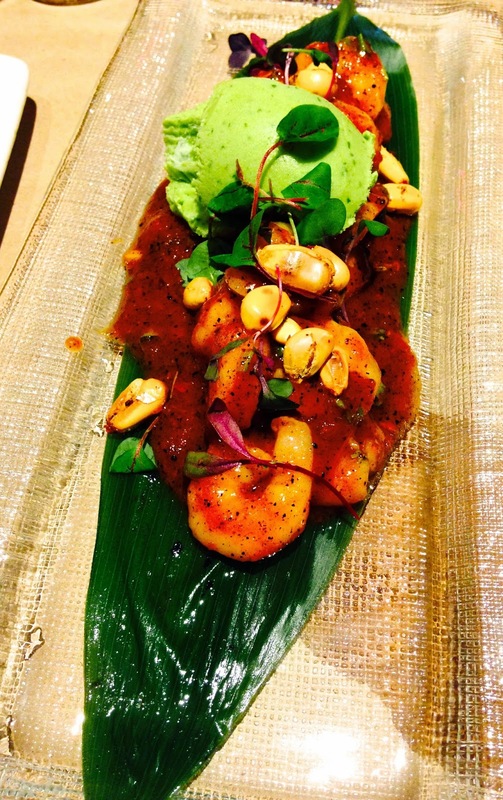 The ceviche was not served in a traditional way; it came plated with poached shrimp, chilies, tomatoes, red onion and cilantro. The best part was a scoop of avocado sorbet on top that was super creamy and refreshing. 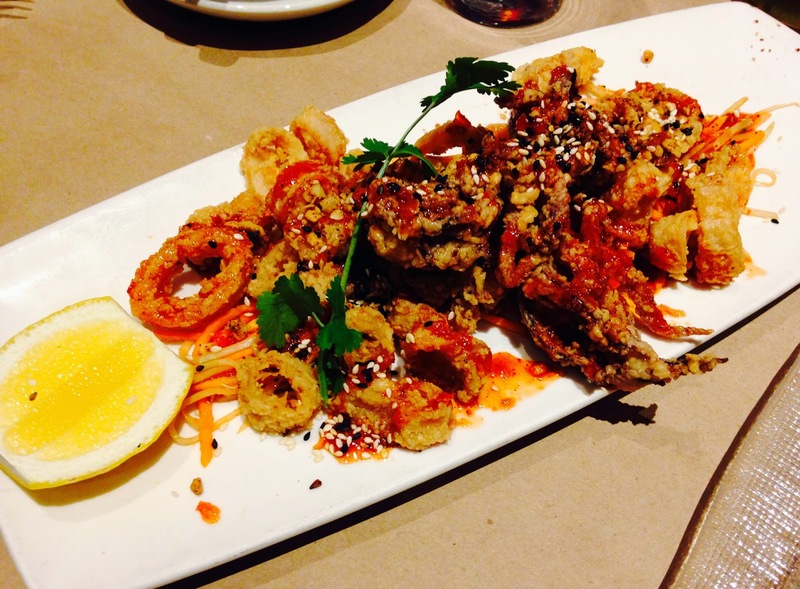 The calamari was also quite tasty but actually reminded me of an Asian-style calamari than a latin style. The fried calamari was topped with carrots, malanga, cilantro, a sweet and sour adobo sauce, and sesame seeds. The sauce was deliciously sweet and spicy. For my entree I chose the Carnitas Chilaquiles which included tortilla chips instead of full tortillas. 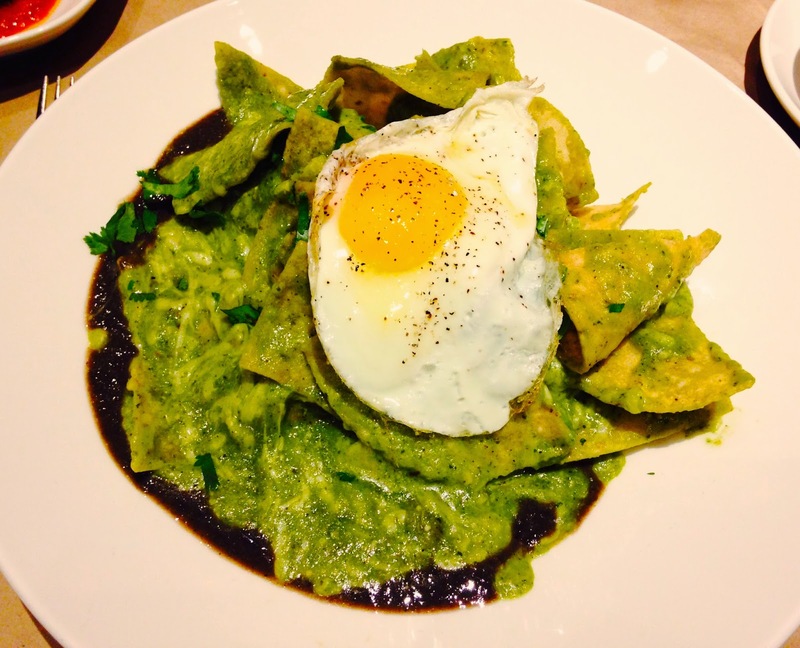 The chips were stewed in tomatillo salsa and were topped with pork carnitas, and a fried egg. I have to say I wasn't crazy about the use of chips instead of tortillas; it felt like I was eating nachos! However, the pork was super tender and well-seasoned. I just wish I didn't have to dig around to find it! My mom definitely ordered the better of the two entrees, the Skirt 'n Eggs. The steak was a wood-grilled skirt steak and was HUGE. It was large for a dinner entree, let alone a brunch entree. I loved the chimichurri on top, and the spicy red sauce on the bottom. For dessert (as if we weren't already stuffed) we tried the Ecuadorian Dark Chocolate Dipped Smoked Bacon and the Red Velvet French Toast. 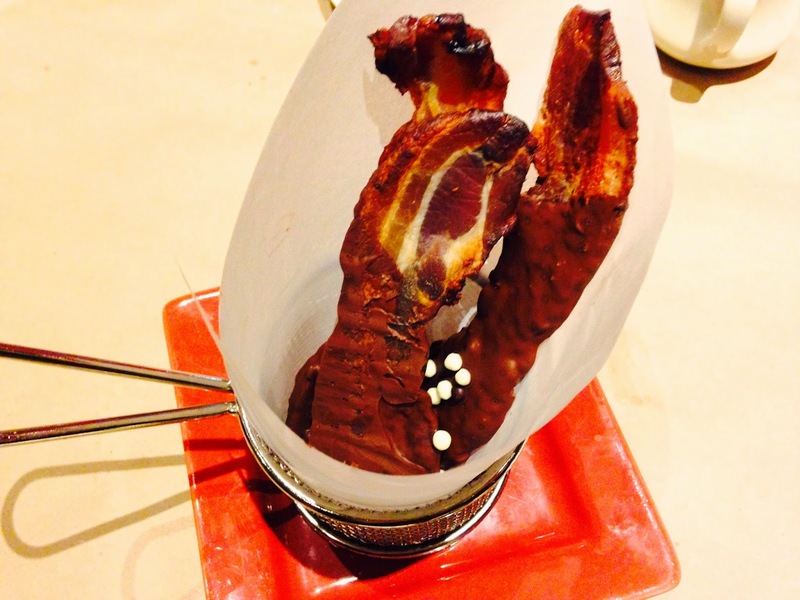 The bacon was extremely decadent! Just one bite was enough for me! 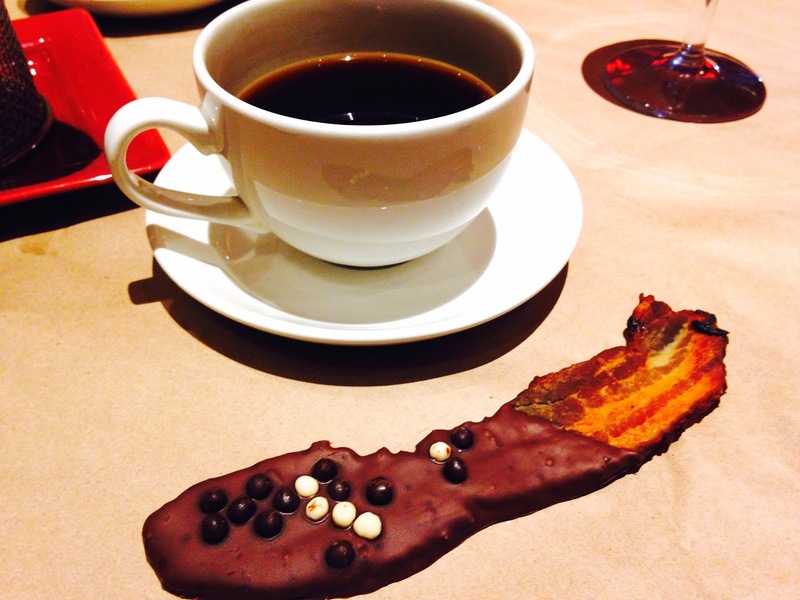 This is a must try if you love bacon and chocolate together. 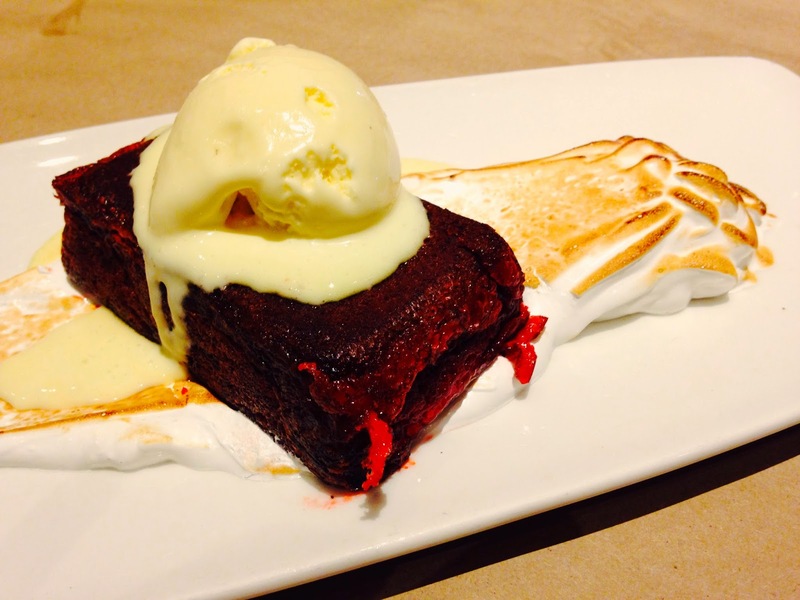 The Red Velvet French Toast was essentially a slice of red velvet cake dipped in batter, thrown on the griddle, and topped with meringue and sour cream ice cream. I pretty much hate sour cream but there was something so amazing about the sour cream ice cream. It tasted just like cream cheese so it paired well with the red velvet, which was not too sweet. 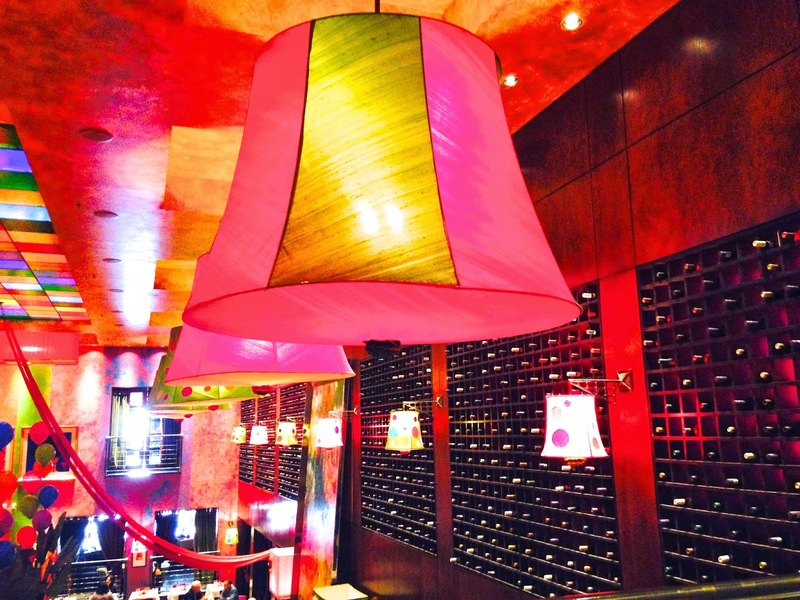 Overall, Sunday brunch at Carnivale is a colorful treat. Nothing can beat the ambiance and the brunch menu offers a wide variety of options to please any palate. Check out brunch at Carnivale which is served every Sunday from 10:30am - 3:00pm. Where is your favorite place to grab Sunday brunch? Note: my meal at Carnivale was complimentary, however, the opinions expressed herein are my own.